It’s common knowledge that most accidents happen at home, but for a surprising number of people, they occur when they’re away for business or pleasure. Falls, particularly in stairwells, pool accidents, and defective furniture number among the most common causes of hotel injuries. Imagine going on a lovely resort vacation, only to return home injured! If you’ve suffered an injury while away from home either in South Dakota or out of state, the first step is to get legal advice. You may be facing medical bills, loss of wages, and pain and suffering, and it’s important to know your rights with regard to liability. It is the responsibility of the resort or hotel owner to guarantee your safety, and if they fail, you may have a recourse. Gregory A. Yates and Michael Shubeck some of the top attorneys in South Dakota, and have made a career of representing people who’ve suffered great personal injury. With years of experience and many successful settlements between them, you can rest assured that they will work hard to get you the compensation you deserve. You may feel like you’re the “little guy” when it comes to suffering a personal injury at a hotel or resort. It can be intimidating trying to discover what your legal rights are and whether you have a case against the owners of these entities. 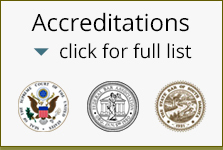 The Rapid City Law Offices of Yates and Shubeck have not only brought many personal injury lawsuits against big companies, cities, and others, but they have an excellent winning percentage. You don’t have to feel like it’s you against the hotel or resort when you have an expert attorney on your side. They will advise you as to your legal rights as well as pursue a monetary award if applicable. Whether you’ve had an accident in South Dakota or elsewhere, you’re entitled to a legal consultation with The Rapid City Law Offices. Talk to Mr. Yates or Shubeck about representing your interests and making sure you’re able to cover medical bills and receive adequate compensation for your suffering. Call or click today and schedule an appointment with a personal injury attorney who can help you with your case.